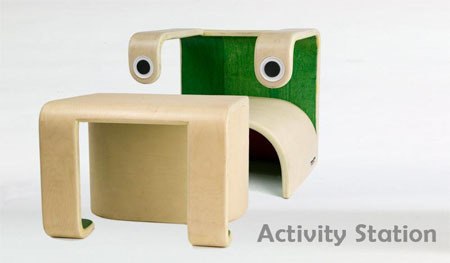 Living the eco-friendly life can be enjoyed in as early as our childhood. 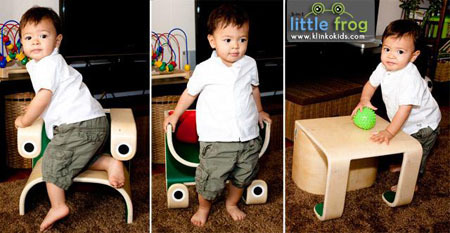 If we have not benefit the simple, clean, and eco-friendly lifestyle in our childhood, we can let our children experienced it in as early as now. 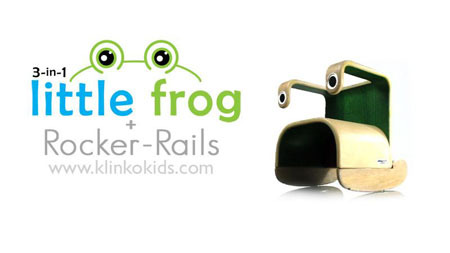 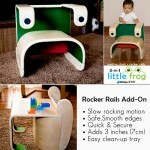 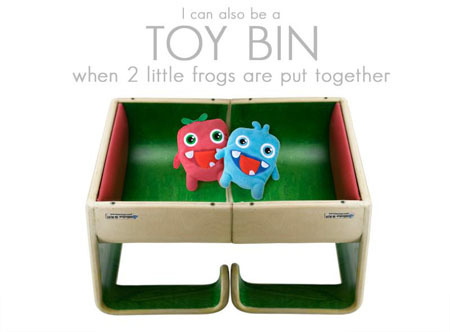 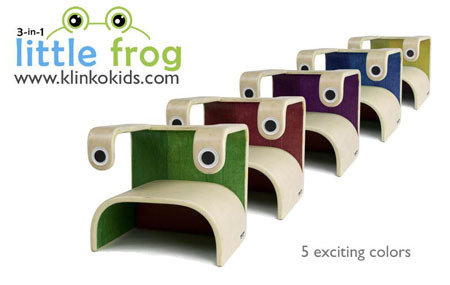 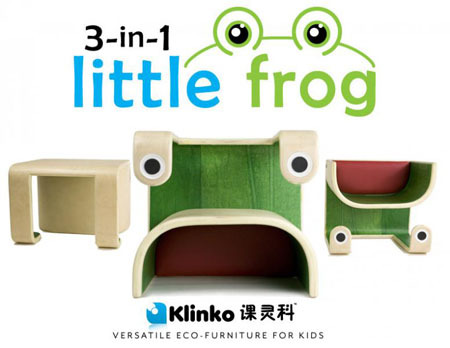 The 3-in-1 little frog for toddlers is an eco-friendly chair from Chadwick Parker and Joe Huang. 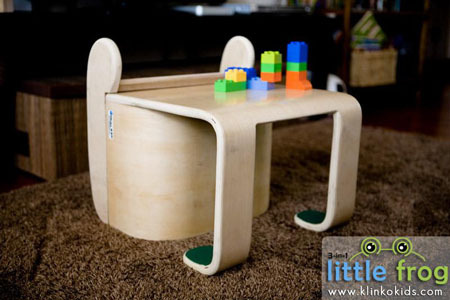 It has the ability to serve your kids in almost all of their furniture needs from reading chair to lounge chair to play table making it a multi-purpose furniture piece at a price of one and of course, less space needed for storage since you don’t need to purchase a new piece of furniture for each purpose. 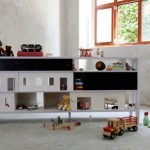 In addition, the furniture’s design is so cute that kids and adult alike surely could not resist to own. 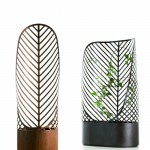 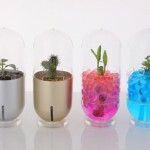 HomeDosh has received this product submission from the page ‘Submit Your Product‘ feature, we welcome you to submit your unique products for publication.